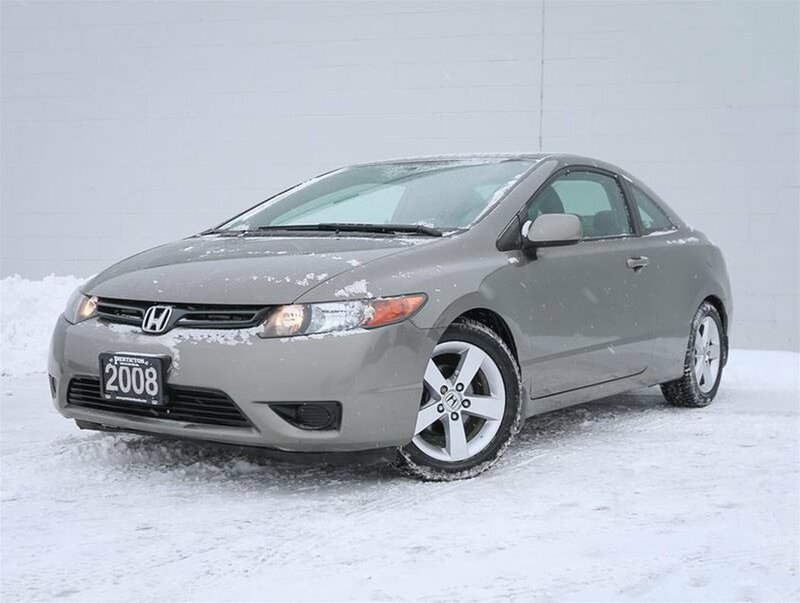 This sporty 2-door 2008 Honda Civic EX-L is in excellent condition given the year of the vehicle! It is evident that the Civic has been well cared for and appreciated since it was purchased new in Richmond, BC. Recently traded in by it's second owner, who required more interior space with a growing family, for a 2019 CR-V. This FWD drives well in the winter, and is a "peppy" car that makes daily commuting a little more fun. With all these great features, and at such a great price, this 08' Civic would make a reliable daily commuter, or a great looking, feature-filled first car! We put the Civic through a multi-point, comprehensive used vehicle safety inspection in order to ensure driving quality. As part of that inspection, our certified technicians have aligned the wheels, serviced the rear brakes, changed the oil/filter, topped up all the fluids and filled the tires with nitrogen for longer wear. This 2008 Civic is in optimal driving condition and is more than ready to meet it's proud new owner. Some of the great features in the 08' EX-L model include power windows/locks/doors, leather wrapped steering wheel with cruise/audio and Bluetooth controls, AM/FM/CD Premium Audio System, AC, power sunroof, heated leather bucket seats, mud flaps, 2 sets of tires and so much more!